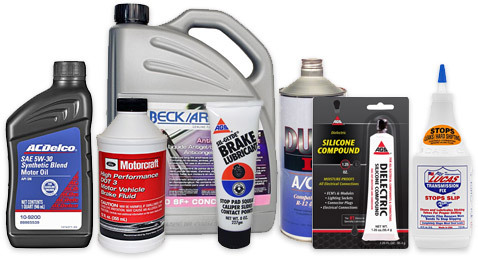 Post subject: More Fluids and Tools at RockAuto.com! RockAuto's selection of Motor Oil, Coolant/Antifreeze, Transmission Fluid, Brake Fluid and other products by Aisin, Motorcraft, Beck/Arnley, Pentosin, etc. continues to expand so you have convenient access to the fluids specified for your vehicle. Help ensure successful repairs with Dielectric Grease, A/C Flush, Brake Lubricant, Transmission Fluid Conditioner and other new products by AGS, GPD, Four Seasons, Lucas Oil, and more. Find the fluid, chemical or lubricant you need under "Fluid" in the relevant category for your specific vehicle (Cooling System, Engine, Transmission-Automatic...) and under the "Tools & Universal Parts" tab. RockAuto now has even more tools designed to assist with specific repairs. Our tools by GPD, Lisle, Performance Tool and others will get the job done correctly and can transform a knuckle-busting odyssey into an efficient, enjoyable repair. Find a Pitman Arm Puller, Piston Ring Installer, Flywheel Turner, Cam Pulley Holder and all the other specialty tools under "Tool" in the relevant category (Steering, Fuel & Air...) of the "Tools & Universal Parts" tab.